We regularly compare our prices with practices in Northern Ireland and you will find we always represent excellent value for money. If you would like information regarding your P.R.S.I. contributions and health insurance policies cover, please call us or send us a query on our Contact Us page. Root Canal Treatment – Each procedure to be paid in full on the day of treatment.  Fillings / Extractions etc – Each procedure to be paid in full on the day of treatment. Hygienist – Each procedure is to be paid in full on day of treatment.